Initial wall cloud on the first tornado warned storm near Caldwell, Kansas. Funnel on the first tornado warned storm just to the north of Caldwell, Kansas near the Oklahoma border. 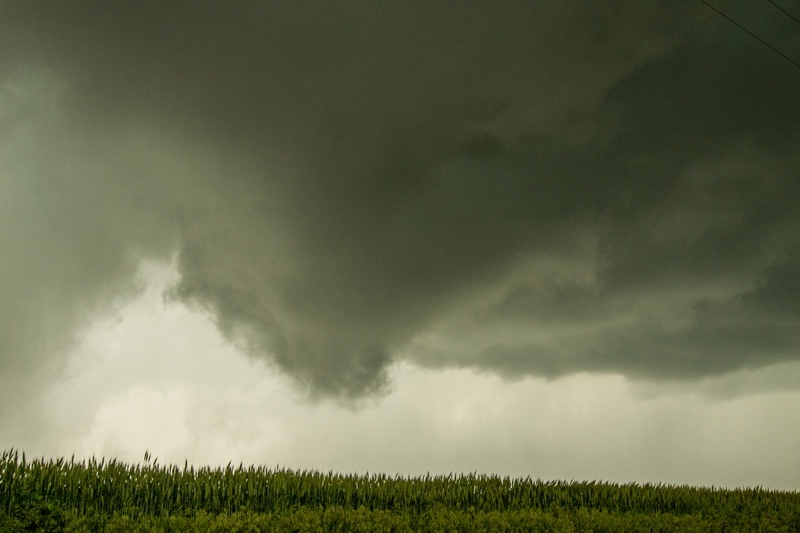 This funnel persisted for a few minutes before dissipating. 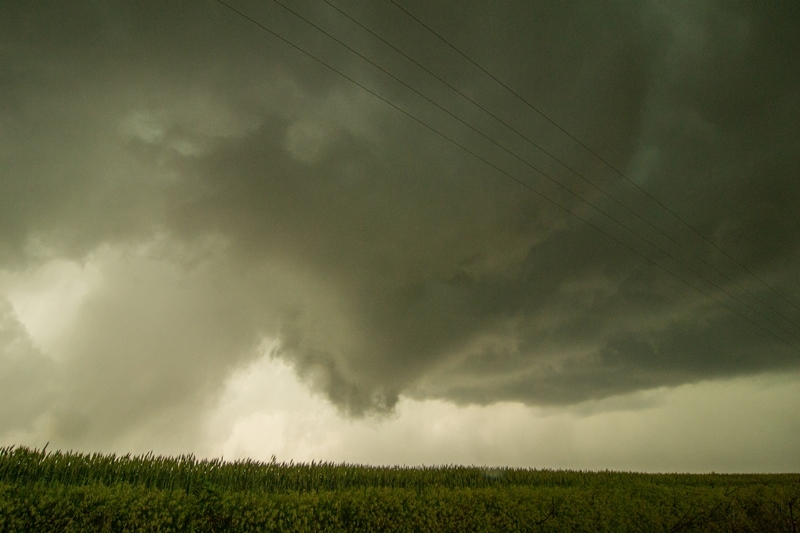 Rotating wall cloud tightening up into a funnel near Mayfield, Kansas. Nearly produced a tornado at this point! 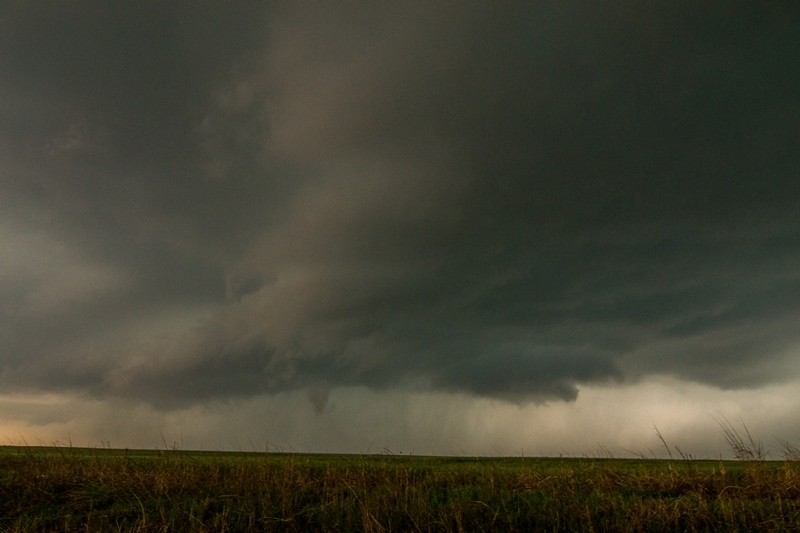 Zoomed out view of the tightened up rotating wall cloud and funnel near Mayfield, Kansas. 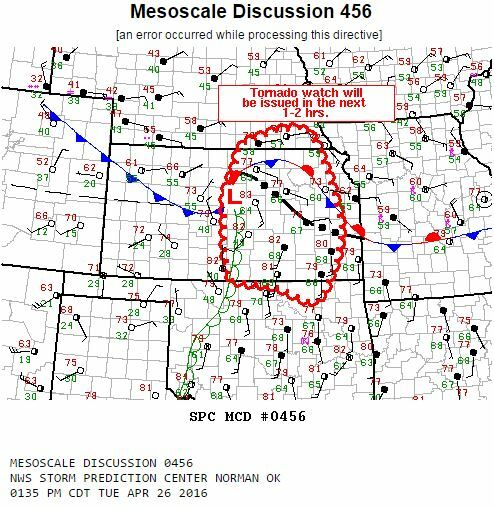 This area of focused rotation dissipated after the occlusion. 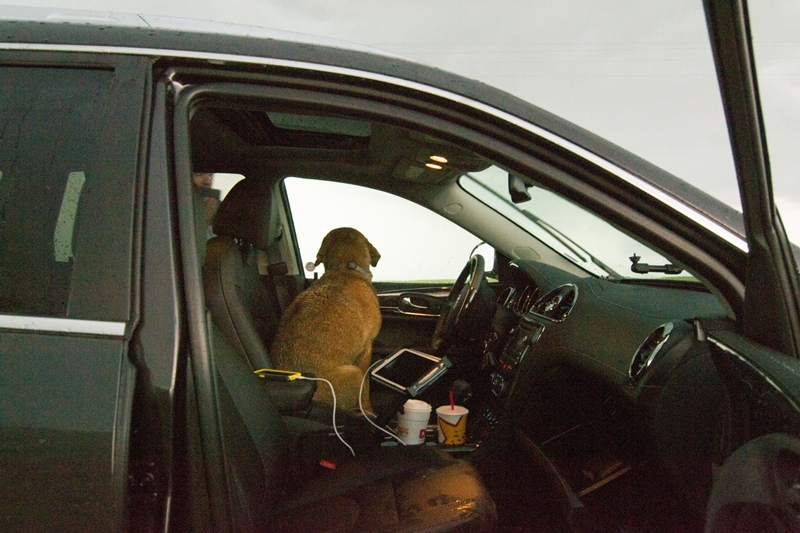 This scared dog jumped in the through the passenger door and into the driver's seat when we weren't looking, ha ha!! Poor guy...felt bad kicking him out in the rain but couldn't take him with. Severe thunderstorm over the wheat fields of southern Kansas. Storm starting to become outflow dominant and form a shelf cloud at this point. Shelf cloud and storm about to overtake us and a train near Wellington, Kansas. Looking at the underside of the shelf cloud, whale's mouth, as it passed over near Wellington, Kansas. Visually striking blue/green/aqua colors under this shelf. 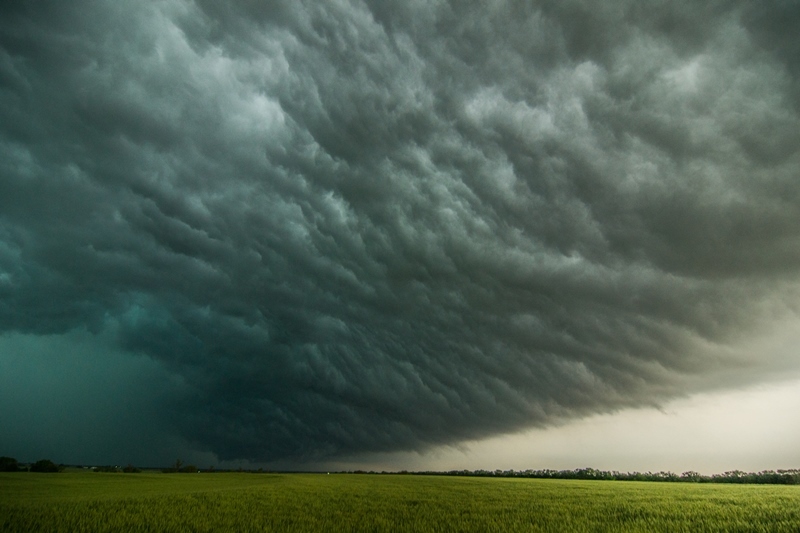 Wes Hyduke's panorama of the underside of the shelf cloud at the end of the day near Wellington, Kansas.